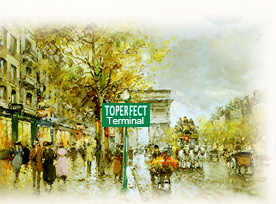 Toperfect, the terminal to your hard journey of searching for art suppliers! Q: What is the guarantee on purchase and return policy? A: Toperfect Art would like to only accept your down payment, 40% of the total to start to paint. If you request we'll take pictures of the finished painting by digital camera and send you by email, you needn't pay the balance until you're satisfied with the quality. It's the best guarantee for your money safe. Q: How to cancel orders? A: If you want to cancel your order, please MUST inform us in 48 hours since make payment; then we’ll refund 100%. Once pass the time, we’ll start to paint for you in order to ship as soon as possible, there will be labor cost incurred so that only partial refund will be sent. Q: What are we supposed to do if our clients' purchase arrives in spoilage? A: Such cases seldom happen since our packages are in good condition and we have rich experiences for many years. Toperfect Art will be obliged to compensate any spoilage occurred during delivery if the responsibility lies with us. If the damaged is caused by express company, you won't have loss if only follow their procedures to claim. Q: What's our attitudes towards our clients' claim for compensation? A: Toperfect Art cherishes long-term volume business and make every effort to offer satisfying services. If our products fail to meet your expectation, we will spare no effort to repaint, change, reimburse, or take other reasonable measures according to your request as soon as our investigation proves that the corresponding responsibilities lie with us. After receive payment, we paint for your order. All of Toperfect’s NEW paintings are handmade and custom-made, NOT old stock and NOT recovered second-hand goods. It will take 20-35 days for us to paint, check quality, and assure 100% hand painted artworks to be fully dry. If you can’t wait so long, please MUST inform us in 48 hours since payment; then we’ll make a refund. Once pass the time, we’ll arrange your order and no refund 100% due to labor cost incurred. Toperfect has branches or partners in US, France, Germany, Hong Kong, and China. For more information about Toperfect, please visit About Us.